This is the most exciting art book in our history! Yoichi Kotabe is an animator who has a career of over 50 years. In these 50 years, he worked as a team with two well known directors Hayao Miyazaki and Isao Takahata. These three creators were highly keen on producing the real character animation into their films including TV animation series, which it could be recognised as the start of the golden era of Japanese animation. 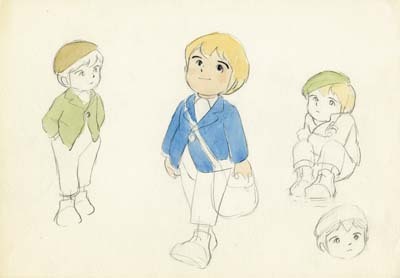 In this period, Yoichi Kotabe kept showing his talent through high level of character animation skill. 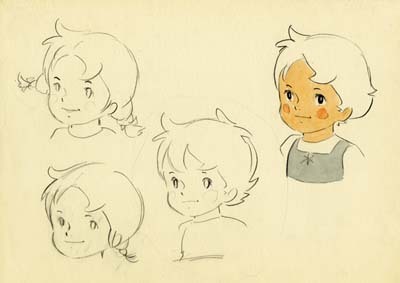 For example, he worked as a key animator for Little Norse Princess Valiant (Isao Takahata 1968) and Treasure Island (Hiroshi Ikeda 1971). For TV animation series, he is known as the supervising animator for Heidi a Girl of the Alps (Isao Takahata 1974), From the Apennines to the Andes (1976), and The Adventures of Panda and Friends (1972). Also he took a role of character designer for these series. As he produced a lot of concept sketches in his career, Anido has successfully gathered a collection of his sketches into one book. So this book must fascinate animators and all anime fans. 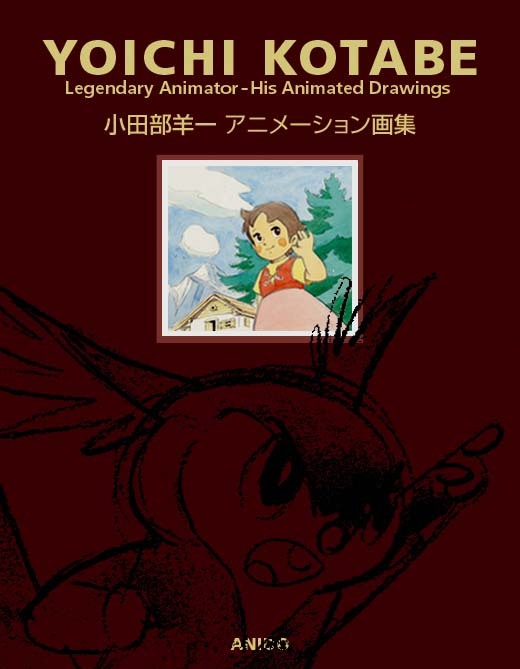 This book included a lot of his design works of animation like the key-animated drawings, in-between drawings and idea sketches from the beginning of his career to today. 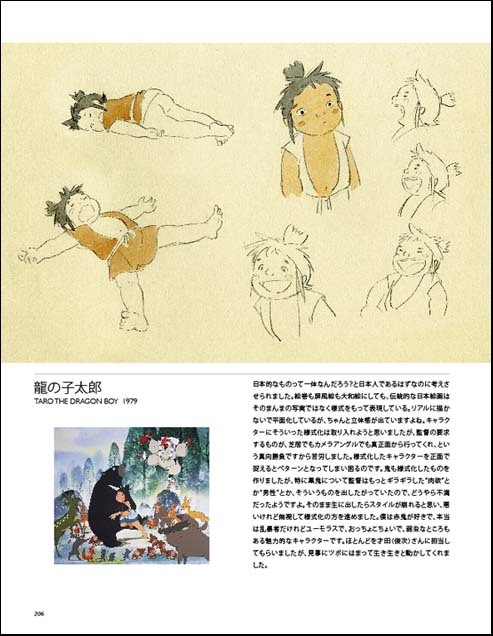 Included not only those most important titles above, but the many masterpieces when he had joined Toei Animation Studio such as "Wanpaku Oji No Orochi Taiji (Little Prince and the Eight-headed Dragon)", "Taiyo no Oji Horusu no Daiboken (Little Norse Prince Valiant)", "Dobutsu Takara-jima (Animal Treasure Irand) "Sora Tobu Yureisen (Fling Phantom Ship)" and "Nagagutsu o Haita Neko (Puss'N Boots)". Besides the works, "Panda Ko-Panda (The Adventures of Panda and Friends)" "Jarinko Chie(Chie the Brat)" the works with Takahata and Miyazaki, "Tatsunoko Taro(Taro the Dragon Boy)" which is the his largest work after he got free-lancer, and the works for games such as "POKEMON" when he had been worked at Nintendo also included. With those large numbers of precious drawings, there are a lot of author's newest interviews about his each works (We are sorry; The text is Japanese only). The way to birth of the world famous character "HEIDI"
He is also Kotabe's famous and popular character "MARCO".